Independence Rock with the Sweetwater River in the foreground. Photo by Kenneth Mays. 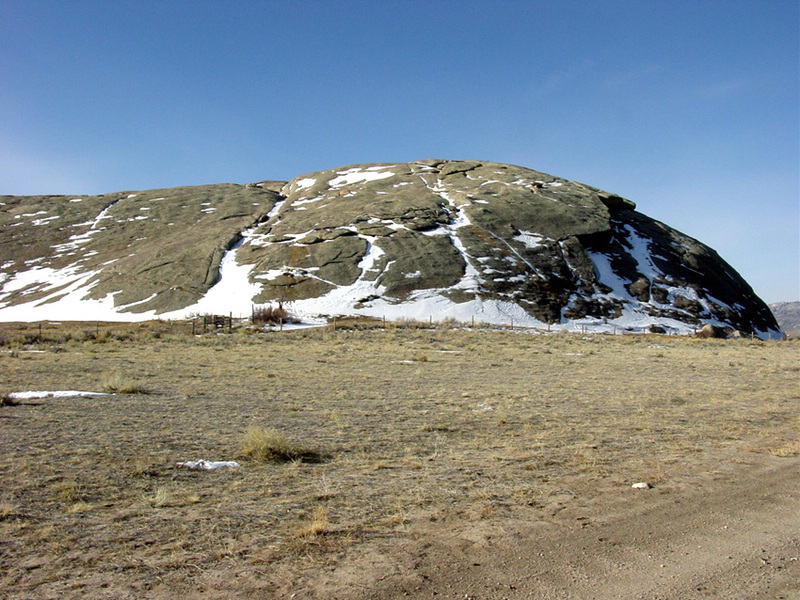 Independence Rock is a large granite rock or outcropping on highway 220 in Natrona County, Wyoming. The rock is roughly 1900 feet long, 700 feet wide, and 130 feet high, covering nearly 25 acres. It was a well known and frequently noted landmark and on the Oregon, Mormon, California, and Pony Express Trails. 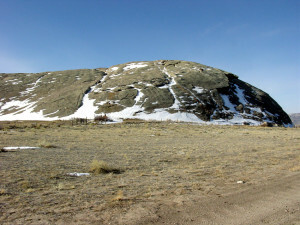 Independence Rock Historic Site. Photo by Kenneth Mays. 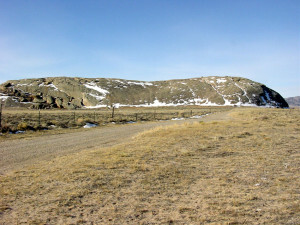 This geologic curiosity was known by at least two different names, the first being “Independence Rock.” The source of the name shares two different traditions. 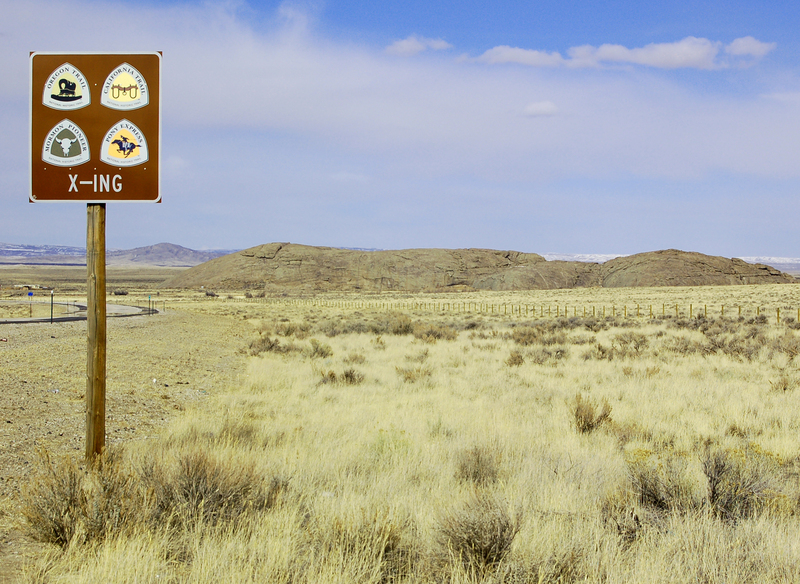 Popular legend says that travelers needed to reach this point on the Oregon Trail by July 4 in order to finish their journey that year. 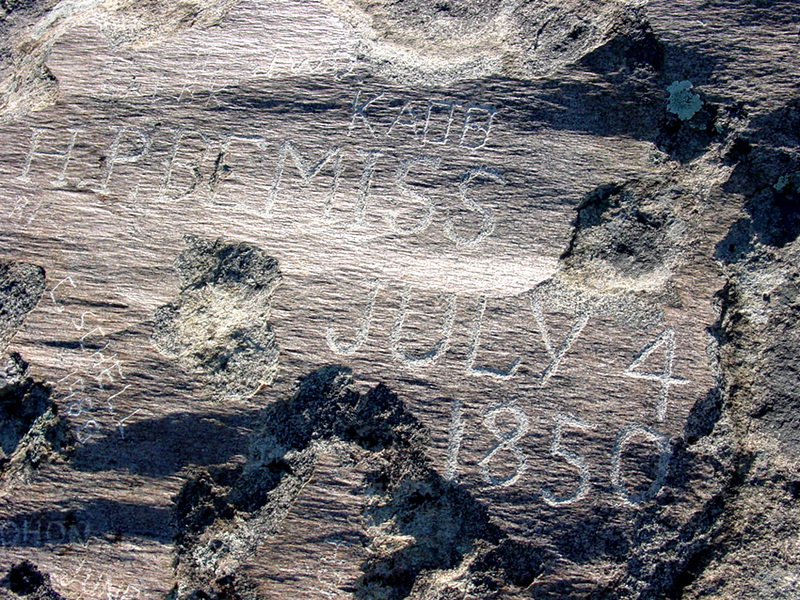 More likely is the story that trappers camped at Independence Rock on July 4, 1840 and thus gave it the name of the national holiday. Traveler inscriptions on Independence Rock. Photo by Kenneth Mays. Brigham Young and his company of Saints passed by Independence Rock on June 21, 1847. William Clayton was one of many Mormon pioneers to ascend the rock to view it and the surrounding landscape. He noted that there were travelers’ names in a cove or cavern in the rock and little pools of water on top. Wilford Woodruff noted the same and added that a number of the Saints “offered up our prayers according to the order of the priesthood.” They prayed for the well being of Brigham Young and others. Continuing southwest for about 8-9 miles, Latter-day Saint and other travelers would reach the landmark known as Devil’s Gate and a site that would come to be known as Martin’s Cove. 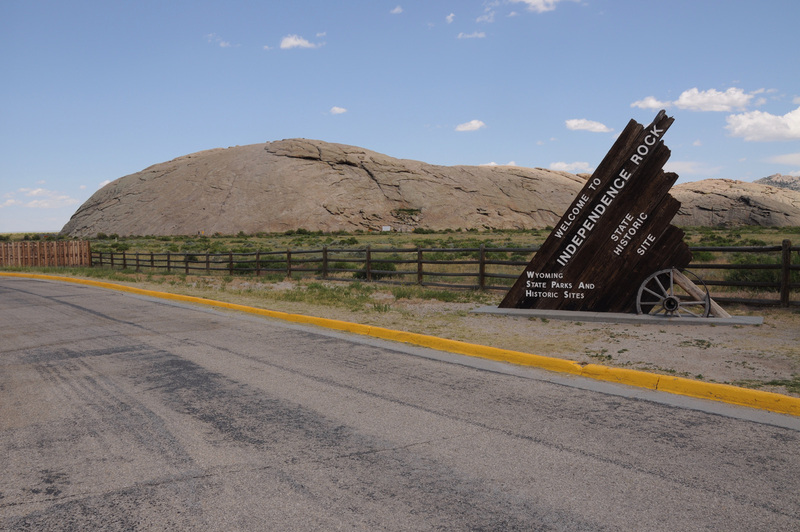 Independence Rock Historic Site is owned and operated by the state of Wyoming. From Casper, Wyoming, take WY highway 220 southwest for 53 miles to the facility and parking area. 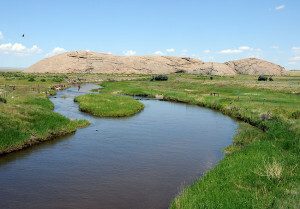 From Rawlins, Wyoming, go north on U.S. highway 287 to WY-220. turn east (right) and continue on to Independence Rock. Total distance from Rawlins is about 60 miles. 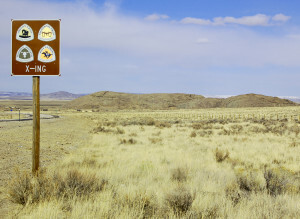 Independence Rock with a sign noting that four different trails passed by it: the Oregon, California, Mormon and Pony Express. Photo by Kenneth Mays. LaMar C. Berrett, general editor, Sacred Places, Vol. 6, Wyoming and Utah, 56-59. Wilford Woodruff journal, June 21, 1847.